Comments: A bank holiday Monday and a rare opportunity to enjoy some local non-league football. 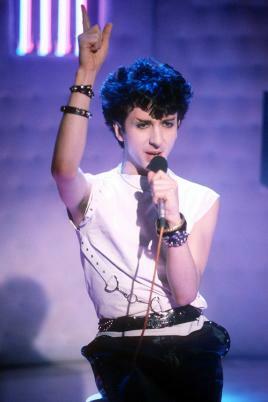 Being marooned in the hospitable North for the last seven years, it was finally time to take a trip down the road to non-league’s biggest name on campus, Salford City FC, as they took on Southport, famously…erm…the birth place of Soft Cell man Marc Almond. Not content with redeveloping all of Manchester, building a university and opening a footballing hotel, Gary Neville and his ’92 classmates are finalising their dystopian New World Order by driving Salford City up the football pyramid towards Champions League glory….except they’re still in the National League North battling off Southport, North Ferriby and Spennymoor Town. Stepping into the ground on a glorious late summer’s day, none other than Phil Neville and his fading highlights appeared upon the horizon shuffling surreptitiously through the open-air concourse. It’s not often you drop into non-league footballer and see a former England international vital in knocking the nation out of a major tournament. Salford City home of the stars! Unfortunately the glitz and glamour didn’t extend to the pies that, while cheap, were North Western staples Clayton Park. Previously seen at the likes of Blackburn and Rochdale, Clayton Park have a track record for a level of mediocrity Ipswich would be proud to own. Coming in at a tepid enough temperature to cradle from below, the pastry shifted formation unpredictably from dried out crusts in the extremities, to under-cooked stodge at the base. 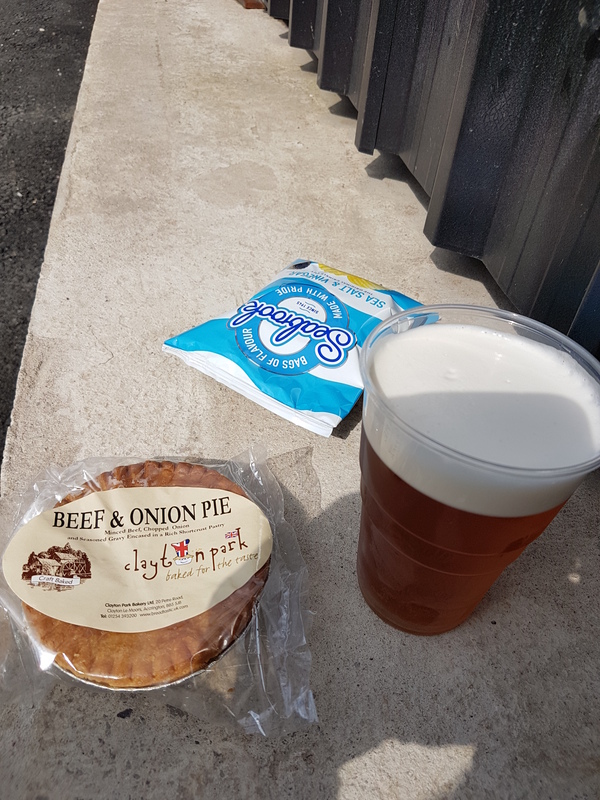 Matched with a hearty Pale Ale, the pie fared much better once the gooey beef entrails came into contention. The thin slivers of onion quietly complemented the robust chunks of tender beef, operating with the fluid beauty of Pirlo and Gattuso in Milan’s midfield during their unstoppable heyday. 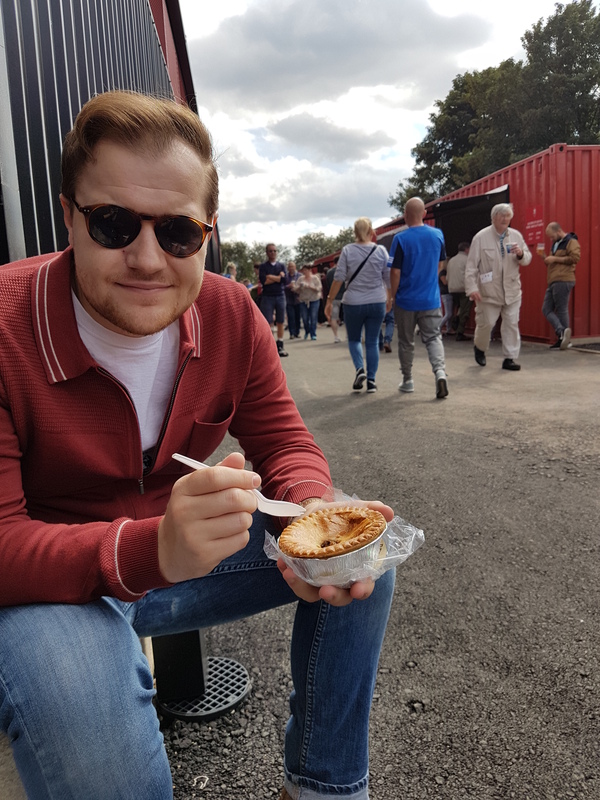 Like Holland’s Pies, Clayton Park continue to monopolise the footballing pastry industry without ever threatening to justify their top tier status, how? Kicker Conspiracy anyone? After being pegged back by 30 yard pea-roller, Salford channelled the spirits of the city’s famous faces – Shelagh Delaney, John Cooper Clarke and Albert Finney – to win 2-1. The winner coming courtesy of a comically bad own-goal worthy of the next Danny Dyer Christmas compilation. Non league eh? Can’t beat it!